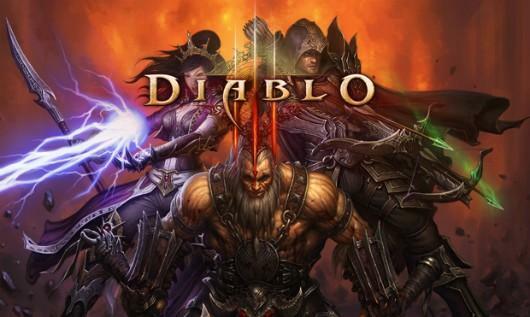 Today at a Gamescom press conference, Blizzard announced the "Reaper of Souls" expansion pack for Diablo 3. Blizzard revealed a new class, the Crusader, a broad and heavily armored character. The Crusader class is a holy knight. The Crusader packs skills like shield bash and a technique called Falling Sword, which basically turns the Crusader into a bolt of lightning crashing down from the heavens. Reaper of Souls will feature a new act, a higher level cap, new endgame options, new enemies and more loot and it will take place in Westmarch, a large city environment. Reaper of Souls centers around Malthael, the angel of death, who has seized control of the black soulstone, which houses the soul of Diablo himself. Blizzard promises a "darker" game this time around. Malthael will be able to siphon souls from the people of Sanctuary, even allowing him to turn citizens into his minions. The loot system is being redesigned, too. They are creating what Blizzard is calling Loot 2.0. This new system includes "smart drop," which makes it more likely that items you pick up will be tailored to your current class. FINALLY. The amount of loot will also be reduced overall, keeping players from hoarding useless items. Along with the new loot system is a new artisan, the Mystic. She allows players to re-roll affixed stats on items, giving them a chance to create an overall better item. There will also be a new end game option called "Loot Runs," which puts players in a fully randomized dungeon with randomized monsters. The player is then to slay lots of monsters and collect a lot of loot quickly. The Paragon system is also getting some changes, too. The main change being that there is no longer any Paragon level cap at all. No release date was announced as of yet, but we'll keep you up to date. Below is the opening cinematic for the DLC. Let us know your thoughts in the comments below!